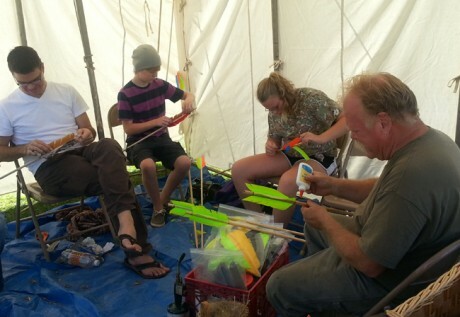 Thunderbird Atlatl will be back in Vermont September for an atlatl and dart making workshop at the Chimney Point Historic Site in Addison, Vt. The workshop will be Friday, September 22, from noon to 5 p.m. On Saturday, the 22nd annual Norteastern Open Atlatl Championship will be held. To register for the workshop or to be involved in the competition, please call the museum at 802-759-2412 for information. 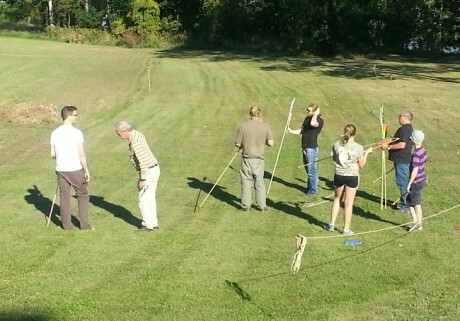 Atlatl and dart workshop at Chimney Point Historic Site. Make your own atlatl and dart on Friday and then compete on Saturday in the competition. 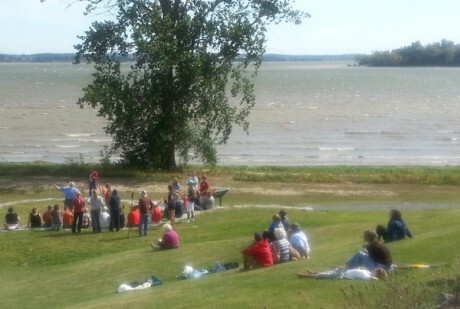 Great time at Chimney Point Historic Site in Addison, Vermont (on the shores of Lake Champlain. This weekend is our 19th year here. It is always a great time. This year there was a special tribute to John and Bette Morris of Vermont. John and Bette were remembered for their giving natures, enthusiasm and strong support of the atlatl. We are sad to report that our dear atlatl friend and supporter John Morris passed away this past Friday, January 24. John of Grand Isle, Vermont, fell in love with the atlatl on a visit to the annual atlatl event at Chimney Point Historic Site in Addison, Vermont several years ago. John, a man of many interests, immediately started practicing with the atlatl at his beautiful homestead on Grand Isle. He and his late wife, Bette, often would show and demonstrate the atlatl to local school groups, scouts and many others. 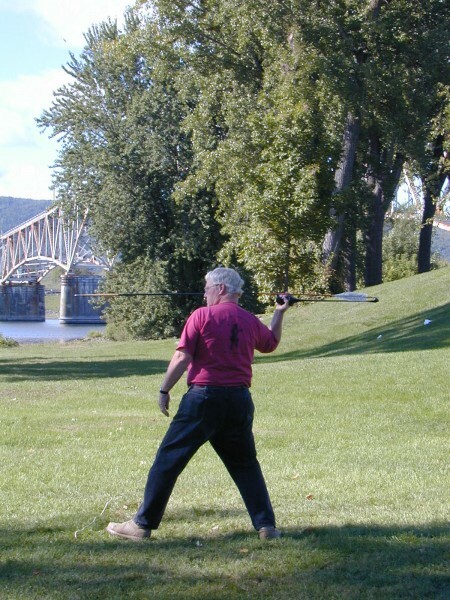 John participated in many atlatl contests and devoted many hours sharing his love for the sport with countless people. 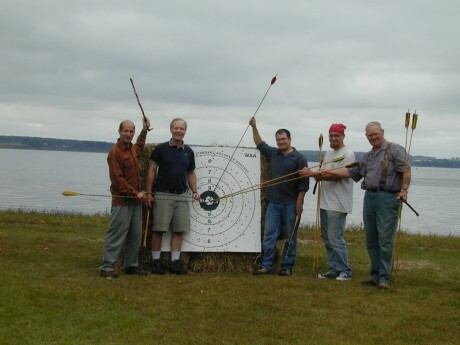 John was instrumental in extending the atlatl program at Chimney Point by adding a Sunday master class/coaching class for young people and anyone interested in learning about the atlatl. We will miss you John. Farewell dear friend.